Summer is almost here - Barbecues, trips to the beach, and 4th of July fireworks. But before everyone takes off, we do have one more monthly meeting on Thursday, June 15th, where we'll learn how to prevent mosquitoes from ruining your summer fun. And we'll also get an update on the oyster reefs established in the Indian River last year. On Saturday, June 17th we have an Adopt-A-Road cleanup along Indian River Road and a key focus will be cleaning up under and around the Indian River Bridge and at the site of the future canoe/kayak launch site. And on Saturday, June 24th, from 9 am to 1 pm there will be Sneak Preview of the renovated Rokeby Center in the park. This is located at the corner of Rokeby Ave. and Providence Rd. The Parks Department will be showing off the newly renovated center and give a preview of the many activities that will be scheduled there, focusing on the folks "55 and Better". Stay tuned for more details. The Chesapeake Town Meeting at Indian River High School on June 6th was very informative. It had a very environmental theme with practically every speaker raising an environmental concern, and they weren't just from the Friends of Indian River! There was a detailed update on the status of the Aqua Virginia negotiations; please see below for more info. We can also report a very successful Clean the Bay Day. Over 100 volunteers came out to Indian River Park and Plymouth Park. We hauled out almost 3000 lbs of trash, mostly from the flood plain behind the little league baseball field, which has probably never been the target of a cleanup. Dreda Symonds, Director of Chesapeake Mosquito Control Commission, will give a presentation and talk about mosquitoes, what the city is doing to control them, and what you can do to control them in your yard. We'll also have a short presentation on local Oyster Restoration efforts along the Indian River. Hear from 3 of our members and local homeowners who worked with the Elizabeth River Project and the Chesapeake Bay Foundation to install oyster reefs along their waterfronts. What planning and permitting was involved? How are the reefs doing a year later? Starting Location: Oaklette United Methodist Church, 520 Oaklette Dr.
Join us for our quarterly cleanup. The more volunteers who come out, the more territory we can cover! We'll be cleaning up 1 mile of Indian River Road from the city limits at Wingfield Avenue all the way to MacDonald Road. This will help to spruce up the area, collect trash that will otherwise get washed into the river and impact wildlife, and give us the opportunity to interact with residents and businesses along Indian River Road. We'll also be cleaning up under and around the Indian River Bridge and at the future canoe/kayak launch site. The city will provide garbage bags and orange safety vests. We'll have water and snacks available. Please wear closed-toe shoes, a hat and bring work gloves and other items that may be useful. Participants under 18 years of age must have adult supervision. Join us on Saturday, June 24th, from 9 am to 1 pm for a Sneak Preview of the renovated Rokeby Center in the park at the corner of Rokeby Ave. and Providence Rd. The Parks Department will be showing off the newly renovated center and give a preview of the many activities that will be scheduled there, focusing on the folks "55 and Better". One of our partner organizations, the Norfolk Highlands Civic League, is looking for a new President. Adam Aborgast, who has done an absolutely terrific job since helping to found the current Civic League in 2011, is sadly leaving the area. The League is looking for someone to step in and fill those shoes. Adam is ready to provide a full overview of the responsibilities and provide guidance to help keep things going. This is an important opportunity for the community. For more information, please visit their Facebook site. Saturday, June 10th, 9 am to Noon, is the next Chesapeake Recycles Day at New Galilee Baptist Church, 1765 S Military Hwy (across from Southern States). Bring your hazardous waste (5 gallons of liquid or 75 pounds of solid waste) and shredding (3 copy paper boxes or 3 paper grocery bags - no plastic bags or large boxes), electronics, Goodwill, and regular recyclables. They are also collecting non-perishable canned goods for donation to a local food pantry. Please note that this year shredding will not be done on-site. For all the details, visit www.CityofChesapeake.net/RecyclesDay. 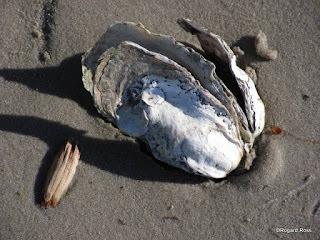 There is still time to Register for the Oyster Gardening orientation offered by Chesapeake Bay Foundation. 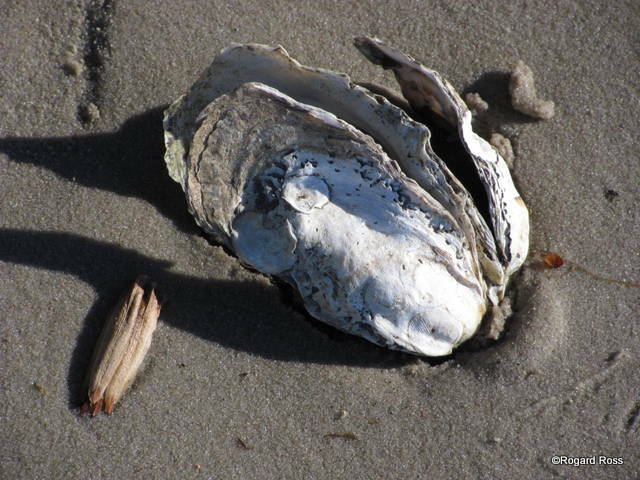 Help raise baby oysters off your shoreline, especially if you have a pier or other easy access to the water. And best of all, we will likely be able to keep many of the oysters raised on newly established reefs along the mouth of the Indian River. Chesapeake Bay Foundation led Training classes start in June. See Lynn in this 1 minute video explain how easy it is and learn how you can sign up. The Campostella Square Plymouth Park Civic League will be hosting a Community Spirit Basketball Tournament (Ages 10-17) at the Cuffee Center on June 27th. The Friends of Indian River worked with local businesses to install flowers along our 'Main Street'. Check out the geranium planters placed at several locations along Indian River Road. If you have a business in the area and want to participate in this effort, reach out to us and we'll put you on the list of potential locations to be added as funds become available. Over 100 volunteers came out on June 3rd for Clean the Bay Day cleanups at Indian River Park, Plymouth Community Park, and a neighborhood cleanup in Norfolk Highlands. All together we removed about 3000 pounds of trash and litter. A big thank you to all the volunteers that came out from multiple groups including, but not limited to Cub Scout Pack 42, Boy Scout Troop 6, Cox Communications, Burns & McDonnell, the US Navy, Norfolk Highlands Civic League, of course our dedicated volunteers from the Friends of Indian River. You can find pics at here, here, and here.